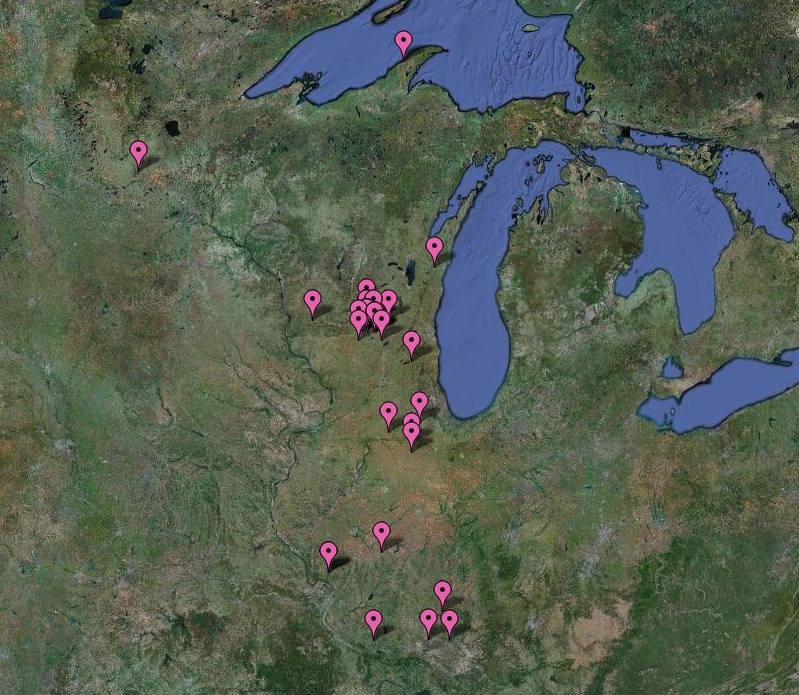 Here are maps showing the disposition of 52 of 132 geese banded by the Wisconsin DNR in Warner Park in 2007. The information comes from the USGS Bird Banding Lab. 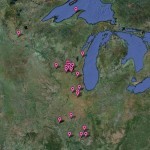 The geese were killed in six states, some as far as 400 miles from Madison. Of the 132 original banded, 42 were killed by hunters in six states, 9 were killed at Dane County Airport. One skeleton was found. USGS personnel say the number of dead geese (52 of 132) is unusually high. The data indicates that the number of geese has been largely controlled by hunting, most of it around Madison. The USGS spread sheet is available upon request. Locations are reported in degrees/minutes on a scale of the nearest minute (10 miles). As a result, the bird’s location cannot be pinpointed. At USGS’s suggestion, each bird’s location is centered in a one-minute (10 mile) square.